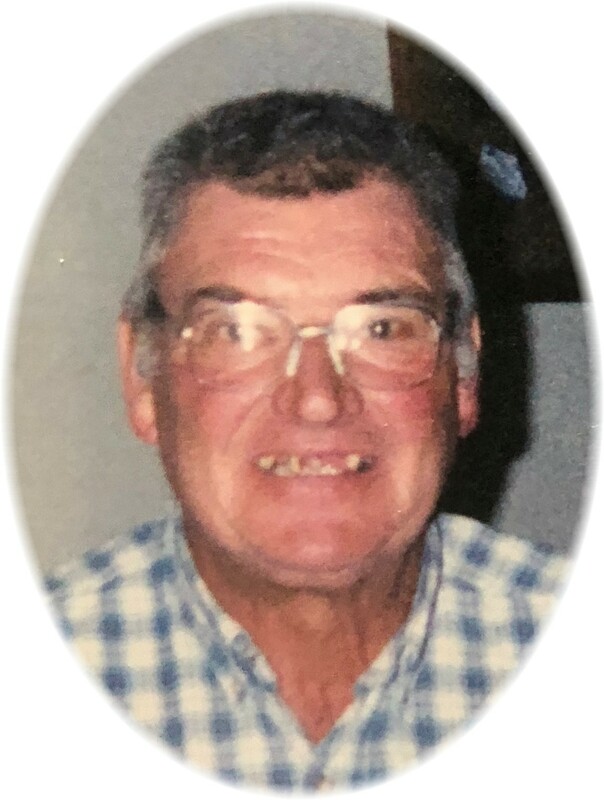 Robert George Mosansky, “Moe” age 76, of Forsyth, Montana passed away October 5, 2018 at his home peacefully of natural causes. Robert was born February 23, 1942 in Nebraska, the son of Emily Bene and Stanley Mosansky. He graduated high school in 1960 from Rice Lake Wisconsin. He then enlisted into the National Guard. He stations in Fort Lewis, Washington. After his time in the National Guard, he went to Iowa, bought a semi and hit the open road and became a truck driver. While driving truck, he found a place in his heart for Forsyth, Montana. He bought some land and built a beautiful home and started his family. Moe was a wonderful and loving father. He was a great friend to many. His philosophy over the last few years was simple. “That’s Life”. Robert is survived by his two daughters, Carrie and Launa Mosansky; brother, John Mosansky; sister, Barb Frost; four grandchildren, Chris, Colin, Daniel, and Agelique; many nieces, nephews and many friends. Carrie, I am so sorry to see this. He was such a great man and was awesome to my parents. I’m thinking if you. Carrie, So sad to here about your Dad. He will certainly be missed around Forsyth. Our thoughts and prayers are with you. Your Dad was a good man and was always there to help anyone who needed it. He was proud of you girls. Always cherish the memories you have of him. My condolences go out to the family. As Jack and Sandi mentioned above, he “was always there to help anyone who needed it.” He mowed by lawn several times, and helped many of my family members with various jobs. He was a very kind and respected man in the community. To Moe’s family. He was very proud of you. You was the light of his life. Your father was very kind man. First and always there to help anyone that he could. Always ready for Hi and a chat. May your memories help you at the difficult time. Remember there are alot of prayers being said for all of you. You are not alone. RIP Moe. One of the nicest and busiest man I had the pleasure working with. My condolences to Mo’s family. To Moe’s Family and friends, I’m so sorry for your loss. He was a wonderful man and always very helpful. You and your family are in my thoughts and prayers. To Joe’s family , We are sad to hear about your father ,and pray that God will comfort you in this time of sadness. Carrie and Launa, I’m so sorry to here of you dads passing. I always enjoyed our talks, and seeing him at the gas station and talking about how the fishing was. He will be greatly missed by all. You both are in my thoughts and prayers at this difficult time. Thanks everybody … it really means a lot .. I have a lot to take care of and there will be a service for my dad in a few weeks … thank you again for your comments and prayers..
To Moe’s family you are in my thoughts and prayers. Moe was such a kind person that would give the shirt off his back to anyone in need. He will be missed by many. Carrie and family, hugs and prayers for you all. Moe was so happy to have you girls in his life and very proud as well. He was one of a kind and one of the best friends anyone could have. We would be glad to help in any way if you need it and we are able to do it. Just let us know. To all of Moe’s family, so sorry for your loss. What a great man and lost figure in this community. He will be dearly missed. Words cant express my sadness for you at this time. Your dad was a firecracker!! Such a kind and helpful man. Im grateful to of had the opportunity to know him!! Im so sorry my friend…so very very sorry!! So very sorry to hear of Moe passing. I just saw him a couple days before. He was truly an amazing man! I will always remember the pig roasts he did for so many years and visiting with your dad whenever I saw him. I hope you find peace and comfort. God Bless! I am so sorry to hear that your father passed away. He was an amazing man with an amazing life. He will be missed. Sorry to hear about Moe. He was an amazing guy and will be missed. Prayer to the family. We are so sorry for your loss! Got such a kick out of Mo. lately Rusty has helped Mo with some of his lawn stuff and then pretty soon Mo would show up with canned something and a bottle of Mint Schnapps! He will be missed. Such a kind soul! So many Young Mens Club Pig Roasts! Easter egg hunts for the kids, Working the Beer concession during the fair! No was a great guy. He would be mowing and I would go out of the house and he always stopped. We’d have a good chat. Keep wonderful memories. We are so sorry to hear of Moe’s passing. He was frequently in our thoughts and memories. Your Dad was a good friend and mentor to a very broad range of people. His canning and pickling skills were “famous”, and his recipes have traveled across the United States. And are still enjoyed by lots of folks. We are so very sorry to hear of your loss. Our prayers are sent to you and yours in this very difficult time. I really liked Mo. We always had to talk when he was here mowing grass. I had planned to come to the funeral, but now I can’t. I would love to see you gals.